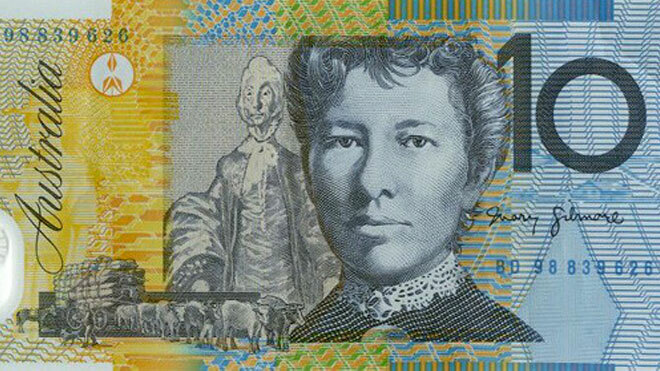 Australian $10 note, featuring Mary Gilmore, socialist poet, journalist, and first woman member of the Australian Workers' Union. That’s the message in this video from Australian Council of Trade Unions President Ged Kearney, backing the TUC’s Britain Needs A Pay Rise national demonstration on Saturday 18 October. Australia has traditionally had strong basic standards for employment but in recent years these have been eroded by employer and government choices, following the path of the UK and USA. The rise of insecure and low paid work has eroded the value of minimum wages, and is damaging social cohesion. Help take a stand on this harmful trend by joining us on the streets of London, Glasgow and Belfast on Saturday 18 October, to say that as well as Australia, Britain definitely Needs A Pay Rise.